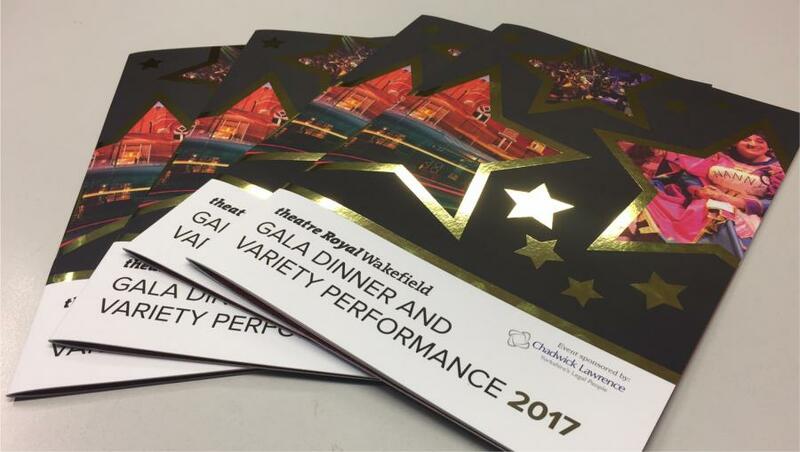 We are proud to announce another very successful Gala Dinner and Variety Performance celebrating the Theatre Royal Wakefields place in the community, with local businesses. The evening raised over £20,000 for the Theatre’s work with young people. This is a really important contribution to the Theatre’s community work across the Wakefield District and provides a springboard towards the opening of the new Centre for Creativity. Lots of hard work was put in to create a great Theatre Brochure and associated menus for the second consecutive year, and this year was a great opportunity to showcase our new technology in specialist finishes, with gold foiled stars and silk touch lamination giving the brochure a stunning look. “Thank you for supporting this year’s Gala Dinner. 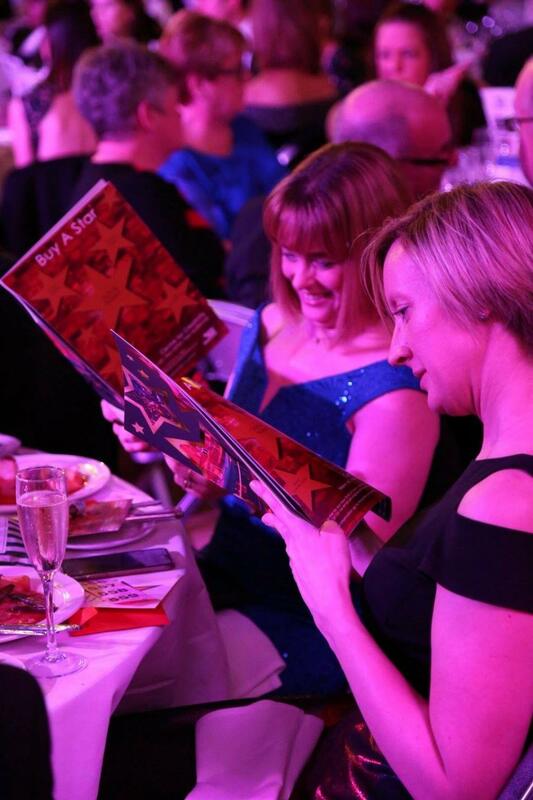 Your valuable contribution is summed up in the image below showing guests enjoying reading their programmes. Your print provided a professional touch to the whole event, which is witnessed by so many guests taking their programmes home. The evening raised over £20,000 for the Theatre’s work with young people. This is a really important contribution to the Theatre’s community work across the Wakefield District and provides a springboard towards the opening of the new Centre for Creativity. 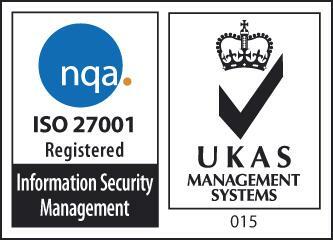 Once again thank you for your support”.